LBG members put on and attend a number of events throughout the year. The guild’s signature event, Brewfest, is held each September at Clinton Lake. 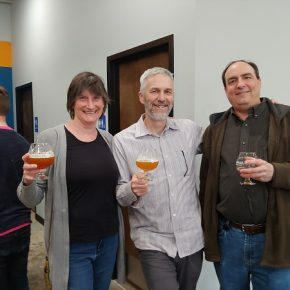 The LBG welcomes homebrewers of all experience levels. Guild members enjoy a number of benefits with their membership, including access to rental equipment, bulk buying and a library of resources, special discounts at local stores, sponsored beer trips and tours and more. 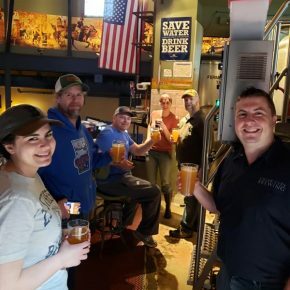 The Lawrence Brewers Guild, established in 1995, is a not-for-profit organization dedicated to the enjoyment of homebrewing and to promote the responsible use of alcoholic beverages. The guild meets the second Thursday of every month for a business meeting, featured beer tasting and seminar. 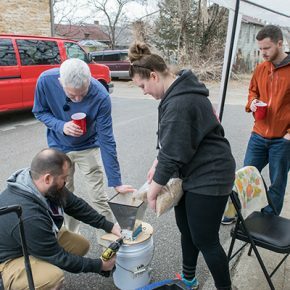 The LBG hosted a social brew day March 23 at Lawrence Creates Makerspace. President Ryan Metcalf brewed a double IPA on electric and a SMASH beer on propane. Vice President Leigh Keck brewed a SMASH beer on induction. The LBG met March 14 for its regular meeting. 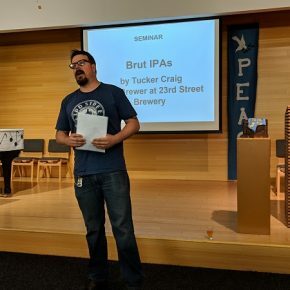 Tucker Craig, head brewer at 23rd Street Brewery, led the seminar on brut IPAs. Biermeister Jim McGovern led the tasting on American stouts and porters.